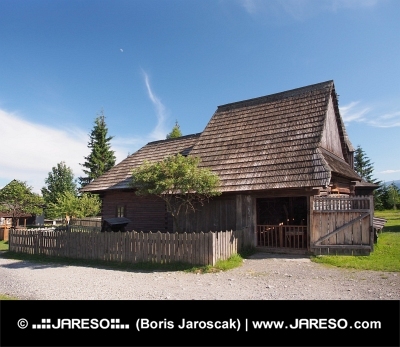 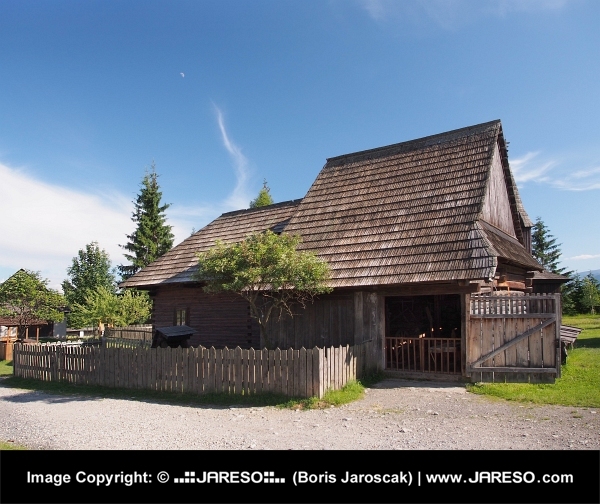 Summer view of historic folk house made of wood located in open-air museum (Skanzen) of Liptov Village, Pribylina, Slovakia. 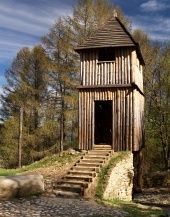 Pribylina Skanzen (Múzeum liptovskej dediny Pribylina) is opened for tourists. 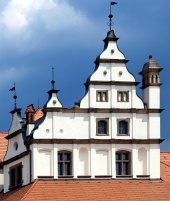 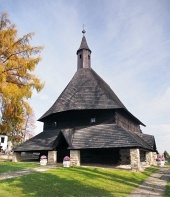 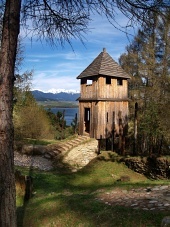 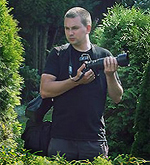 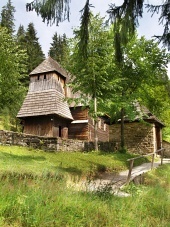 It contains authentic, many centuries old historic buildings carefully preserved and saved from various villages throughout whole Liptov region. 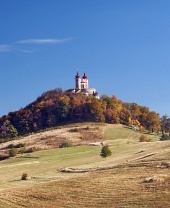 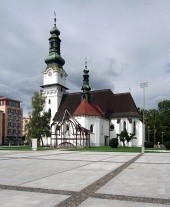 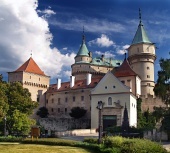 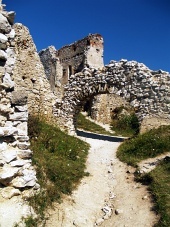 Pribylina skanzen is rightfully one of the most visited tourist destinations in Slovakia.